When Trent Reznor laid NIN(live) to rest back in September 9 2009, most fans were left sad and craving for more goodness from T.Rez and his juggernaut biceps of synthology and angst. 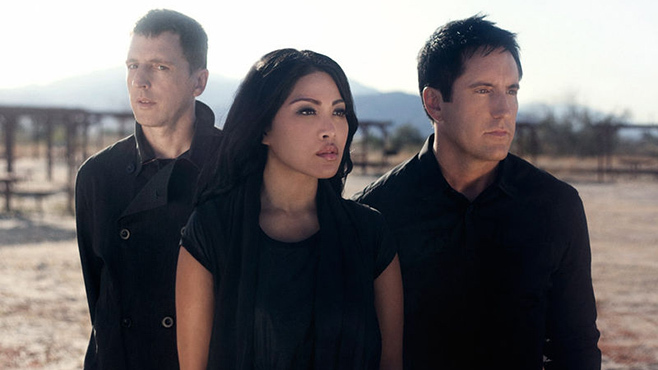 To their delight, shortly after the end of Live NIN, T.Rez announced that he would be working on new material alongside his wife, Mariqueen Maandig and the elusive Atticus Ross. 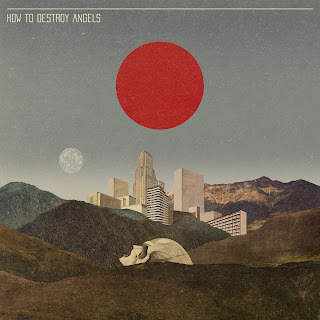 This band would later be known as How To Destroy Angels and this is their debut EP. Prior to the release of the EP, fans were treated with teaser trailers of each of the bandmember tweaking/twiddling/playing instruments with a backing beat. Following these teaser trailers, a music video for The Space In Between was released via Pitchfork.com. Videos for all trailers and the music video can be viewed here on HTDA's official Vimeo page. So, after all the hype, the question is "Is the music good?". Opening with a mellow drone and the whispering voice of Mariqueen in The Space In Between, How To Destroy Angels(HTDA) EP is a mixed bowl of ambience from depressive NIN and also the experimental sounds of Ghosts I-IV. This is not saying that the EP is just another NIN release tagged with a new name, there are several new sounds in this EP that will still satisfy NIN fans without being a repetition of the past. With Trent Reznor leaving the vocal parts of HTDA to Mariqueen, it is a breath of fresh air albeit a pretty forgettable one. Mariqueen, although matches the music with her breathy vocals (A Drowning, The Space In Between) , it just seems that her vocal parts are a little too processed and lacks clarity (BBB, Fur Lined) to be properly heard and would normally be overlooked as the music would overpower. Sometimes, you just feel like you want Trent to sing again. As expected with any release from Trent, HTDA's EP instrumentals are varied and layered with great detail. None of the tracks feel like it was made just for the sake of being made and all the bits and pieces of sounds inserted into each track contribute to the overall emotion and drive. Eventhough the instrumentals manage to captivate listeners with its diversity, it does lack tempo change from track to track (except for Fur Lined). Making it seem like the whole EP is one long single track, which is not entirely bad but might bore listeners after repeated listens. Overall, HTDA's debut EP is a sign of good things to come. Even with its lack of tempo differences between tracks and Mariqueen's ability to be heard behind all the noise, you will have a good feeling that the LP (early 2011) is going to be something great to listen to. Unless you expect a NIN industrialyzer, you won't be disappointed by this EP. SO go ahead and download the EP here, it IS free anyway.